St. Louis, Missouri - July 13, 2017 - Belden Inc., a global leader in signal transmission solutions for mission-critical applications, has released a new version of its PROFIBUS fiber optic repeater. The OZD Profi 12M G22 allows PROFIBUS networks to communicate over longer distances through fast and reliable fiber optic signals, while also guaranteeing signal reliability through integrated redundancy technology. 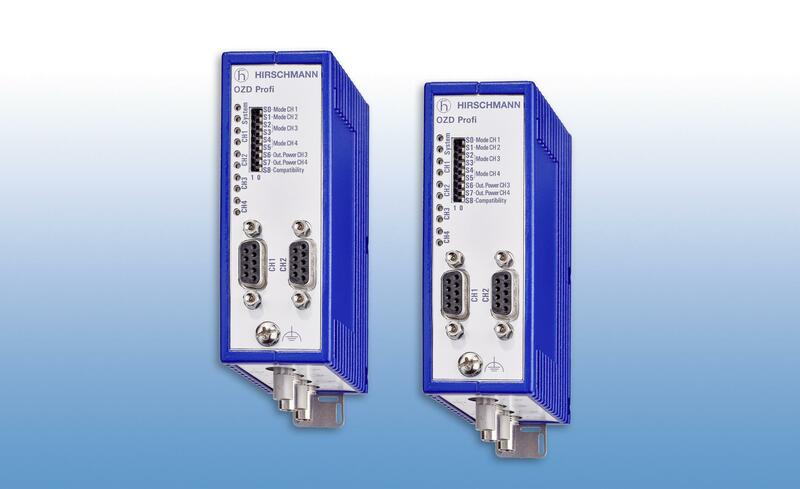 This PROFIBUS fiber optic repeater is ideal for real-time control networks that extend across long distances. It is useful in energy applications, such as oil and gas production or pipelines, and in the transportation industry, such as in highway traffic control systems. Other uses include water and wastewater systems and manufacturing systems that require large PROFIBUS communication networks that are reliable and safe. For more information on the OZD Profi 12M G22 Fiber Optic Repeater, visit www.hirschmann.com/en/Hirschmann_Produkte/Industrial_Ethernet/news/OZD_Profi_12M_G22/index.phtml. As an early innovator in industrial Ethernet, Belden knows industrial IT and delivers the next generation of industrial networking solutions, including wired, wireless and embedded products. With its global brands – Hirschmann, GarrettCom and Tofino Security – Belden helps companies minimize downtime and take advantage of the real-time data access and control made possible by the Industrial Internet of Things (IIoT). Through a seamless, secure and scalable industrial Ethernet infrastructure, companies are equipped to revolutionize their operations and achieve improved efficiency, productivity and agility. Visit www.belden.com/products/industrialnetworking/index.cfm to learn more. Belden Inc., a global leader in high quality, end-to-end signal transmission solutions, delivers a comprehensive product portfolio designed to meet the mission-critical network infrastructure needs of industrial, enterprise and broadcast markets. With innovative solutions targeted at reliable and secure transmission of rapidly growing amounts of data, audio and video needed for today's applications, Belden is at the center of the global transformation to a connected world. Founded in 1902, the company is headquartered in St. Louis and has manufacturing capabilities in North and South America, Europe and Asia. For more information, visit us at www.belden.com; follow us on Twitter: @BeldenIND. 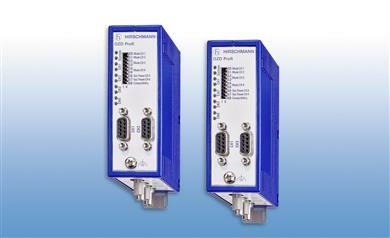 Belden’s new fiber optic repeater increases the range and availability of PROFIBUS networks.